What should we do with the Old Clubhouse? Allow the lease to lapse. 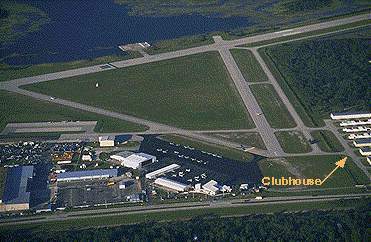 What should we do with the Old Clubhouse (Hangar C-4) ? Allow the lease on Hangar C-4 to lapse? Renew the lease (provide suggestions for its use as a reply to this thread). Re: What should we do with the Old Clubhouse? What does the annual lease cost the club? IMHO the old clubhouse is far better for First Friday's... something to be said for standing around outside. Also very useful for folks to flight plan, check weather, sit in comfort after washing/waxing airplanes, or just a place to get a cold drink on a hot day. The old club house has a personality that the new facility can not replace. Keep the lease on the old club house. I also agree with Gunner and TJ. I believe it was mentioned at the July meeting that we can afford to keep the clubhouse, if the membership plan to use it. Since we have storage space for SAAPA materials at the new facility, the board did not want to continue paying rent for a second location if it wasn't going to be used. So far, there are good reasons posted here to keep the old clubhouse. I'll see if I can get Mike or someone else to provide additional details you have requested. Is the cost of rent the only reason to cancel the lease?